There may not be as much seating or as many taps as at Apex across the street, but what Mongers lacks in volume it makes up for in quirk. 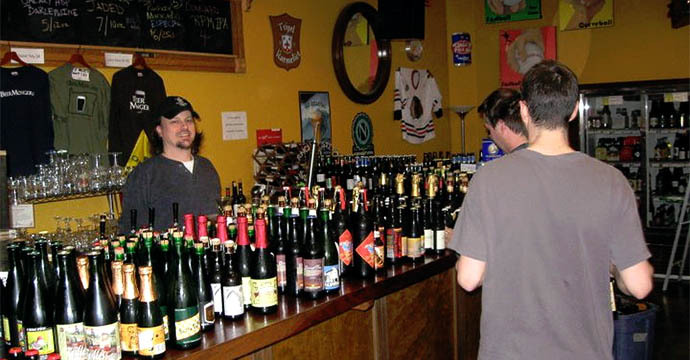 While the 525-strong bottle list includes some of the world’s best ales and lagers, the tap selection is focused on small local breweries and rare seasonals - if you can’t find that special beer from your favorite small Portland brewer it's probably on tap here. Selection is great, and local is even better, but the best thing about this place is that it's open every day of the year - keep that in mind when you're aching for an escape on the next holiday (1125 SE Division St; 503-234-6012).